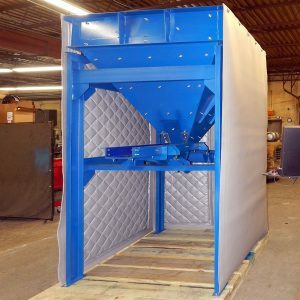 Soundproofing industrial noise will help reduce occupational exposure to high sound levels to create a productive and safe working environment. 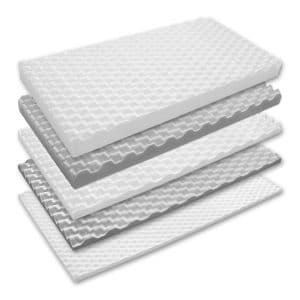 Noise is a huge concern in factories and industrial facilities. It can create hazards in the workplace and affect your health. 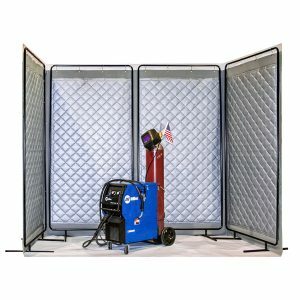 Industrial Facilities often need to meet specific noise level requirements as outlined by OSHA (Occupational Safety and Health Administration). Regardless of meeting regulations, reducing noise is the right thing to do. It improves the safety and well-being for the workers. 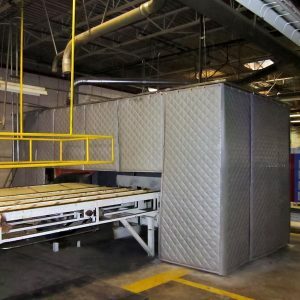 There are many options to explore when acoustically treating a factory, manufacturing plant or other industrial facility. 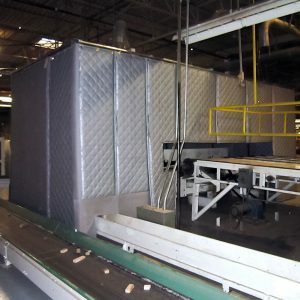 We will begin with acoustical blanket enclosures. 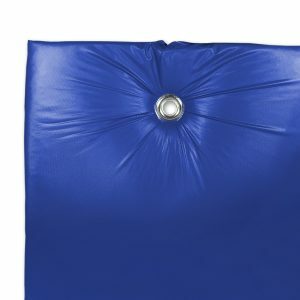 These highly-effective, custom made sound enclosures can both absorb and block sound. 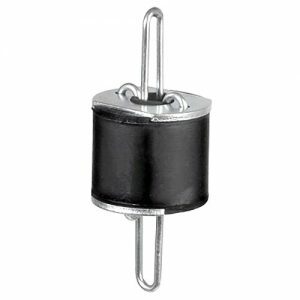 They can enclose just about anything that makes noise and are available for interior, exterior or high temperature applications. 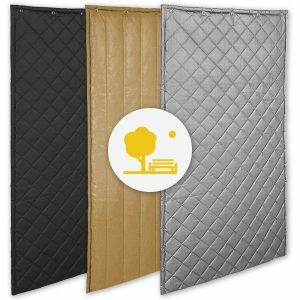 Similar in composition to the blanket enclosure, is the ABSC-25 AudioSeal® Combination Sound Blanket panel. 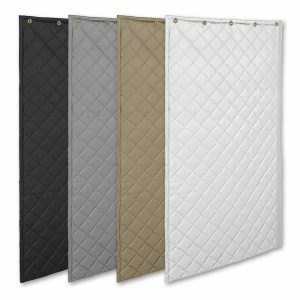 Usually used to create a temporary wall barrier, these barrier blankets combine absorption with a mass loaded sound barrier. 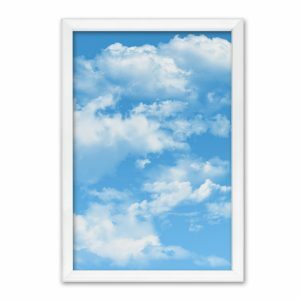 They can be hung from the ceiling, attached to metal or wood frames or attached to existing walls. 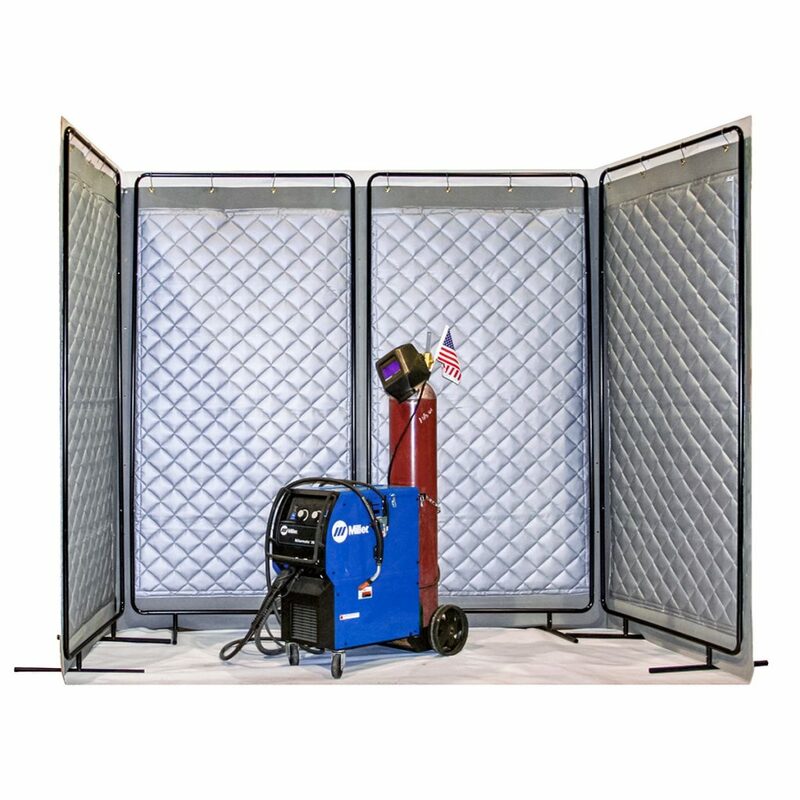 Portable blanket screens provide an easy solution to set up temporary or semi-permanent enclosures around machines or work areas. 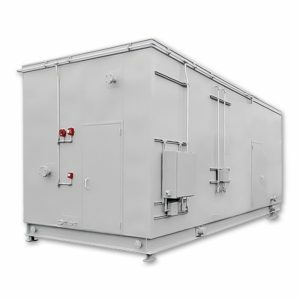 If a heavy duty solution is needed, a custom industrial enclosure may be required. 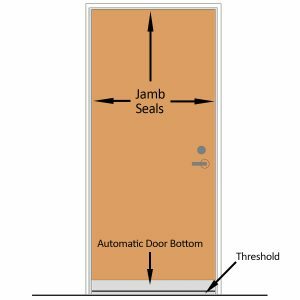 If the noisy equipment happens to be in its own room, a soundproof door or adding a door seal kit to the existing door will help seal the room. To quiet noisy pipes and duct work, consider using AudioSeal® Pipe and Duct Wrap. 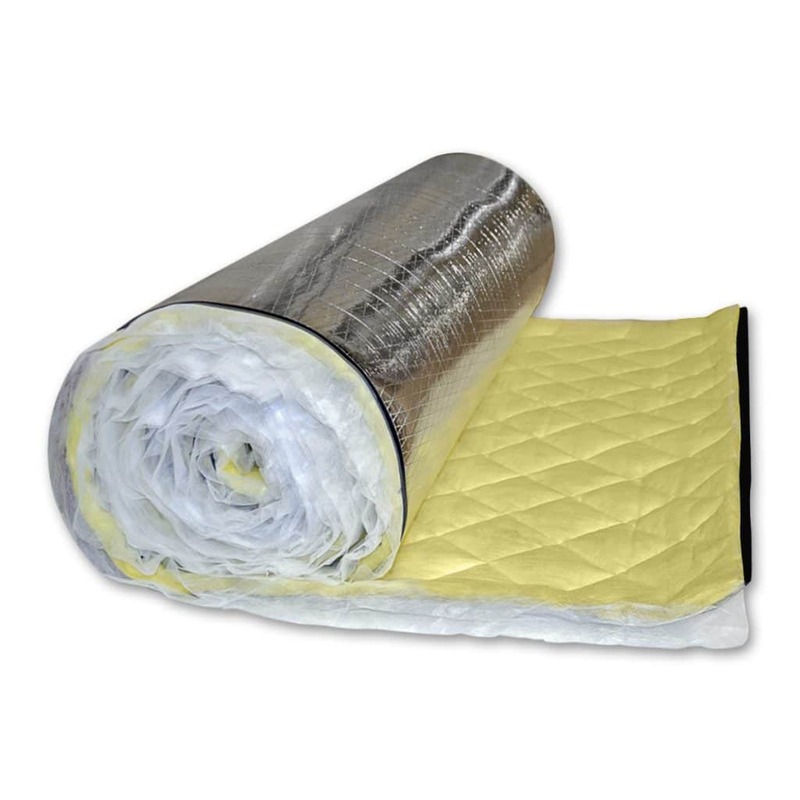 The wrap provides a quilted absorber layer to decouple the sound barrier from the surface of the pipe or ducting. 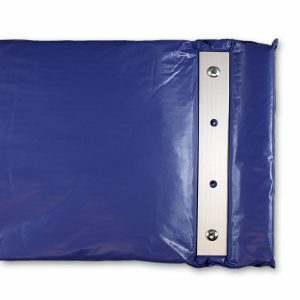 If you already have a layer of material to decouple the barrier layer, AudioSeal® Duct and Pipe Lag may be utilized. 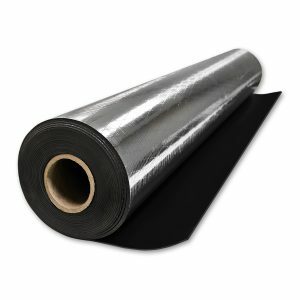 Once the pipe or ducting has been wrapped, the edges may be secured using AudioSeal® Lag Tape. The K104 Radio Station employed our installation services for our IAC Acoustics Noise-Lock® Doors to block sound between their production spaces. 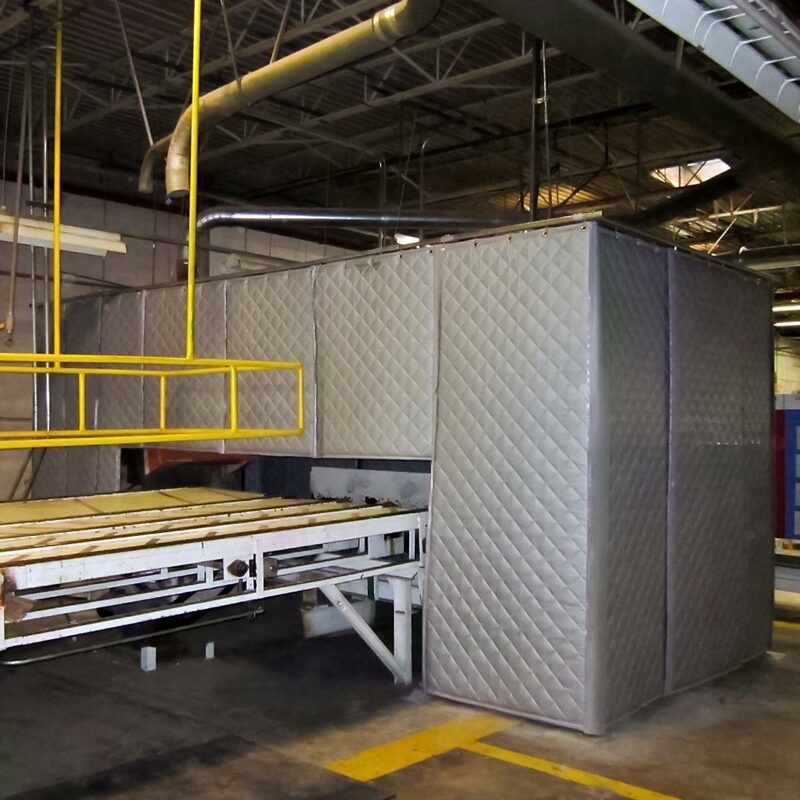 Soundproofing industrial noise often requires reducing sound levels in the open spaces. Factories and manufacturing planes need to address overall sound pressure within a room. 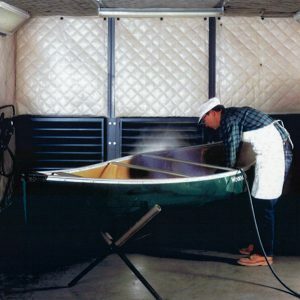 Not all machinery can be completely enclosed. 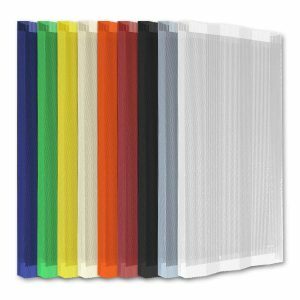 AlphaFlex® PVC Ceiling Banners or hanging baffles can be very effective in large room industrial applications. Hung from the ceiling, these sound absorbing materials are very effective in reducing sound. Their main function is to lower the reverberation and echo within a space. 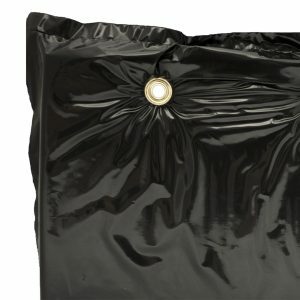 This prevents sound from amplifying back from the ceiling into the room. 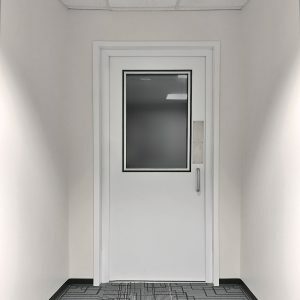 Lowering the reverberation time can contribute significantly to help reduce noise levels and sound pressure within a space. 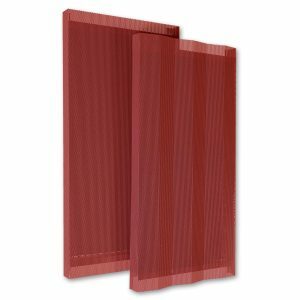 Likewise, acoustical wall panels are another type of product that reduce sound reflections and prevent sound from amplifying in a room. 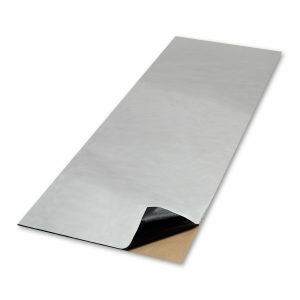 Metal wall panels provide abuse resistance in harsh industrial conditions. 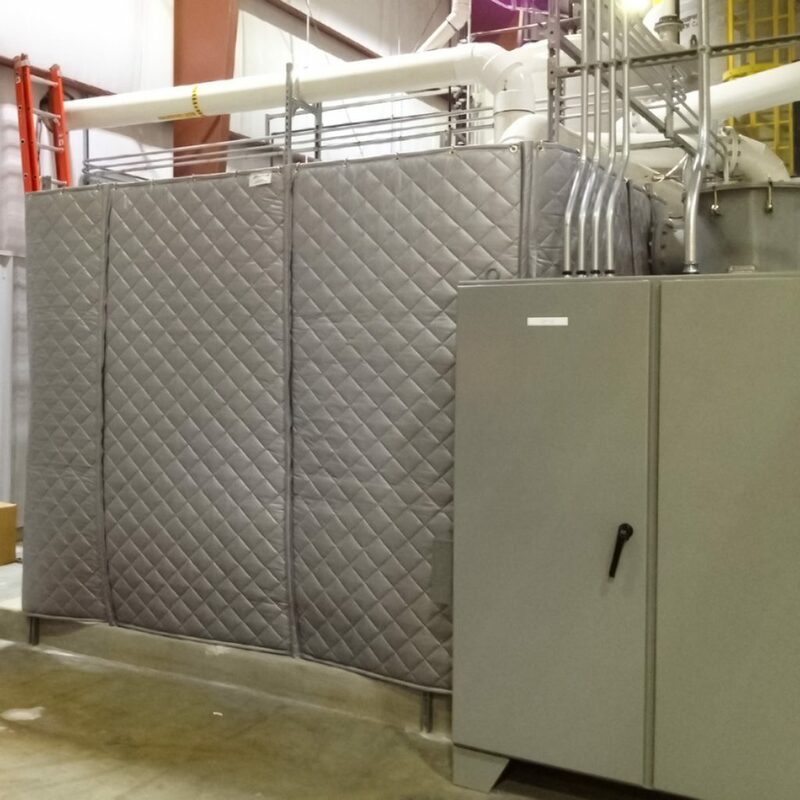 Thick acoustic foam, glued to the walls around machinery, can also help lower noise levels. 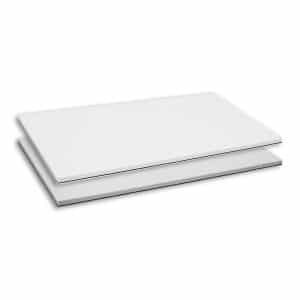 If you need sound absorbing panels that are moveable and wipe-able, consider AQFA-10 Absorber Sound Blanket Panels. 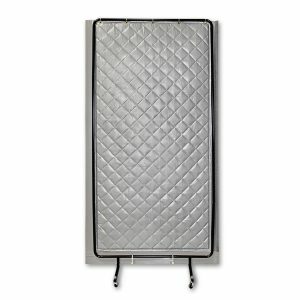 They hang easily using the factory grommets at the top of the panel. Finally, to reduce structure borne noise and vibration, we use isolation mounts and cup mounts. 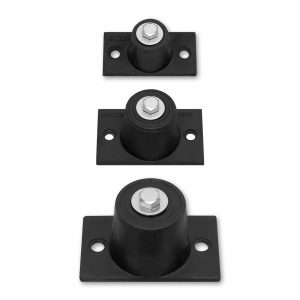 These mounts are efficient, easy to attach and are a simple solution to install under the legs of vibrating machinery. 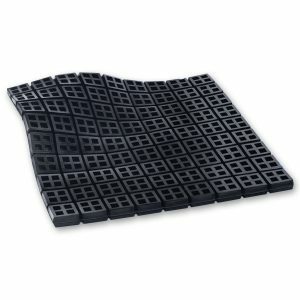 Machinery without specific mounting points may benefit from the use of vibration isolation pads. 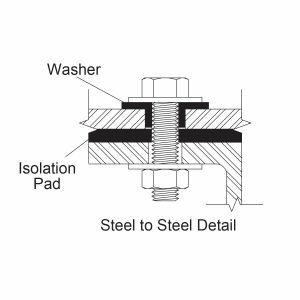 If the machinery metal is simply resonating, a sound damping sheet or damping compound may be applied to the housing. 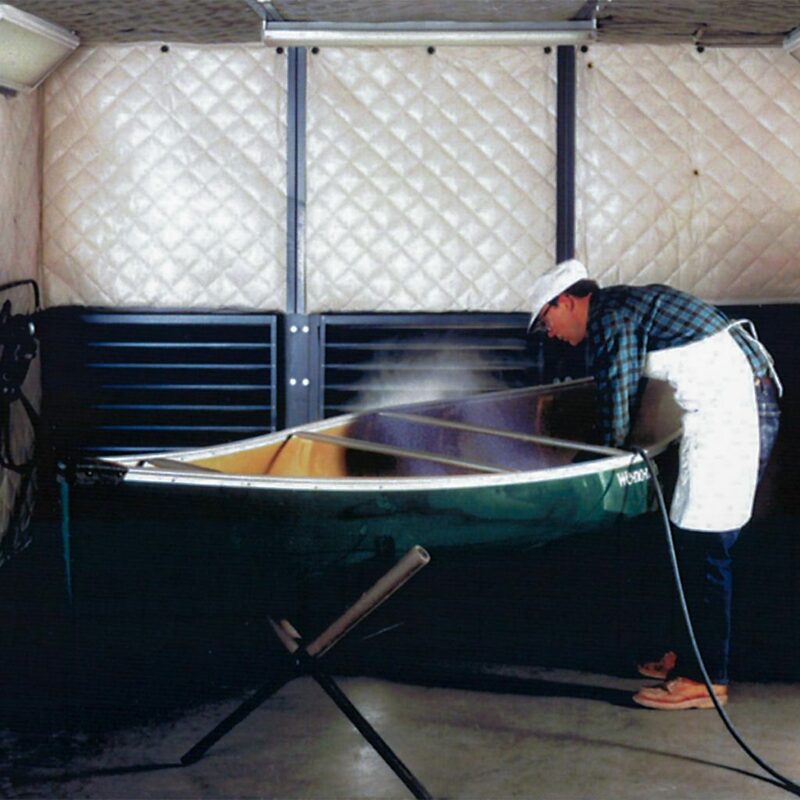 The objective for soundproofing industrial noise is to reduce prolonged exposure to high sound levels. This ensures a healthy and safe work environment. OSHA (Occupational Safety and Health Administration) regulates standards for acceptable noise levels in factories, manufacturing plants, and other industrial settings. During a typical eight-hour work day, continuous sound levels should remain below 90 dBa (A-weighted decibels). Exposure to impulsive or impact noise should not exceed 140 dB peak sound pressure. Achieving these goals requires a combination of machine enclosures, general absorptive acoustic treatment and possibly hearing protection. ABBC-13 AudioSeal® Combination Sound Blanket around an industrial hopper. 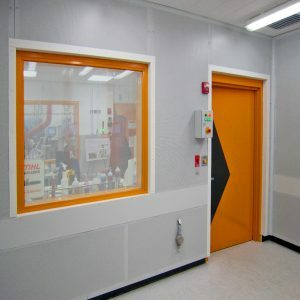 AlphaPerf® Metal Acoustic Panel in an industrial manufacturing plant to lower sound pressure in a machine room. 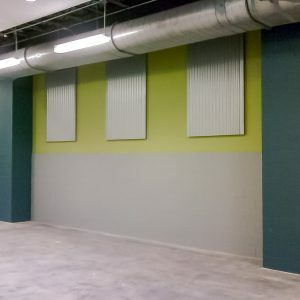 AECOM Industrial Plant - Acoustical blanket wall using AudioSeal® blankets to block noise from equipment, reducing the noise for the employees in plant. Shaw Modular Solutions using AlphaPerf® panels for industrial look to reduce room noise in school cafeteria. 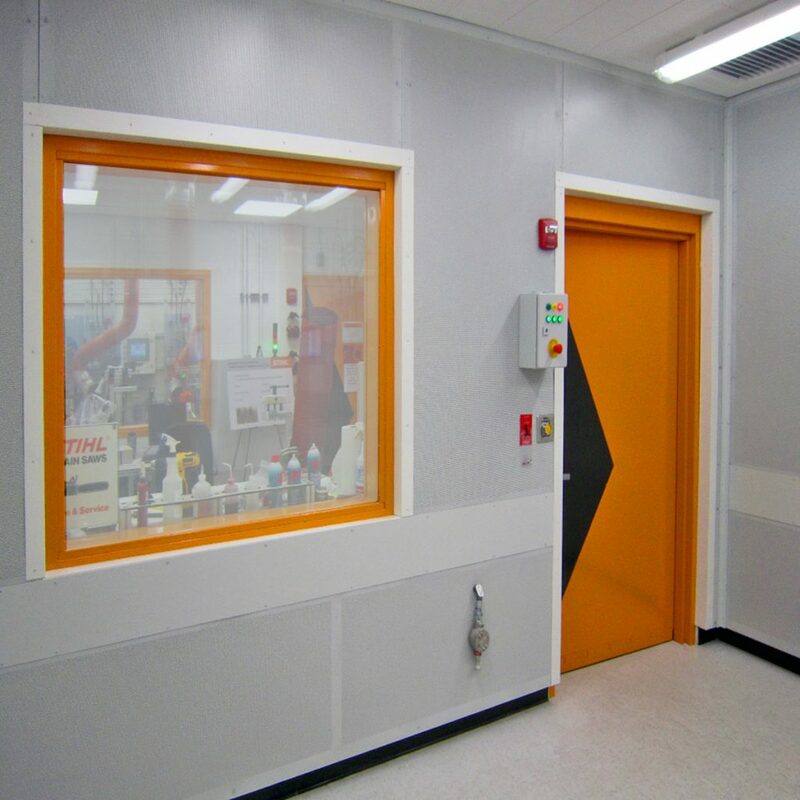 The AQFA-10 Blanket helps to reduce the ambient noise levels in and around this industrial booth. 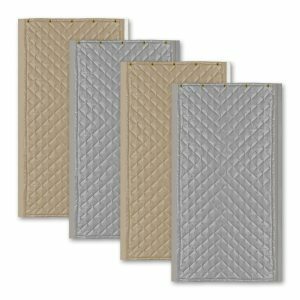 ABBC-13 AudioSeal® Portable Blanket Screens make great temporary sound barrier surrounds for many types of machinery. 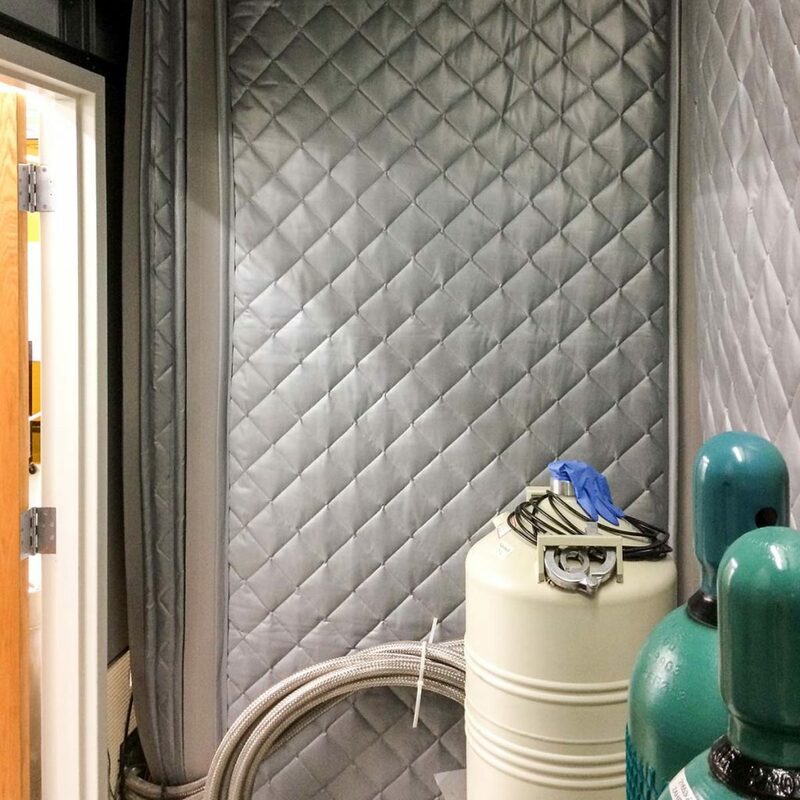 UT Dallas Lab lined a closet with ABBC-13 AudioSeal® Combination Sound Blankets to reduce the transmission of their noisy machinery. 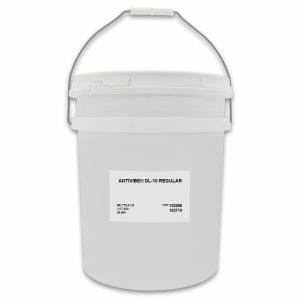 ABSC-25 AudioSeal® 2 lb. 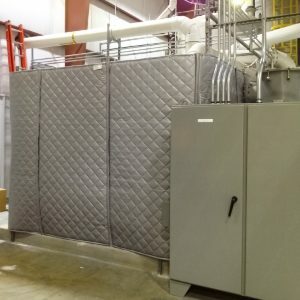 Sound Blocking Blankets were installed to create a sound enclosure around the equipment in this lumber processing plant.